The Syrian conflict has raged on for over 3 years and the U.S. intervention that began a few weeks ago in Syria may have played right into President Assad’s hand. The conflict started in March 2011 as a civilian uprising with people seeking to bring down the current Baath regime that dominated political life and the military for decades. The initial peaceful protestors’ demand for freedom, democracy, and a better way of living quickly transformed into one of the most brutal conflicts on our planet when the regime began to bomb and target civilian areas. The conflict has so far led to the death of close to 200,000 people and forced the migration of a million others. 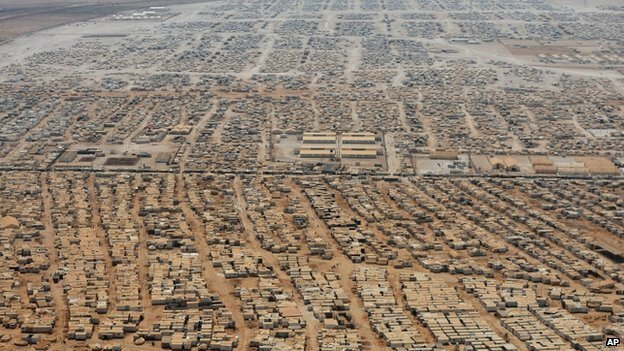 The Syrian conflict has arguably become the largest humanitarian disaster facing the international community. Currently, neighboring countries Lebanon, Jordan and Turkey are struggling to deal with the massive inflow of refugees with roughly 3 million Syrians moving across the border and away from the violence. From the start of the Syrian conflict, Bashar Al Assad freed hundreds of convicts as part of his “general amnesty” campaign. Assad believed that a rise in terrorist attacks would lead to a loss of credibility for the opposition. Assad believed that this would help him gain credibility in his push to quell the revolution. Fast forward three years, and the Syrian conflict is increasingly chaotic with hundreds of rebel groups and an ever changing network of coalitions and alliances. For a long time, Assad tolerated the existence of the Islamic State, his forces rarely clashed with IS forces; his government even went as far as purchasing unrefined oil from ISIS. At the same time, ISIS was busy combating the Free Syrian Army and Al Nusra forces in Deir Ez-Zour province, and the Kurds in the province of Hassakeh in Northeastern Syria. It wasn’t until early June when ISIS began to spread across Iraq and Syria did Assad’s forces find themselves having to fight on the ground against ISIS. Concentrated in military bases and airstrips in northeast Syria, the Syrian Armed Forces slowly but surely lost control of their bases along with large amounts of material and weaponry. The Syrian army was too stretched, and supply lines were no longer secure; ISIS had the momentum and manpower to overrun Assad’s forces in those areas. The biggest confrontation happened in Rif-Homs where Assad’s forces lost an estimated 700 members in 72 hours of fighting, briefly losing control of a major gas field in Al Shaer. ISIS has proven to be the only non-state actor on the battlefield capable of mounting continuing successes. The FSA, Al Nusra, and the Islamic Front for their part have failed to mimic these successes in the recent year due to a lack of manpower and military weaponry. With an opposition that lacks cohesiveness, organization, and an ever-increasing amount of factions, Assad and his forces are positioning themselves as a potential partner on the ground to combat ISIS. As the U.S. and the international community seek to degrade and ultimately destroy the IS, Assad stands to gain the most. The Syrian “moderate” rebels are badly under-armed, are disorganized, and have lacked cohesion for a long time; arming and training these groups is likely to be a long-term project. Should the international community succeed in defeating IS forces and limit their fighting abilities, Assad will find himself with the upper hand in the Syrian conflict. The likelihood is that an air-campaign alone will not succeed to achieve the intended goals and will require a ground troop involvement which is where Assad might wiggle himself in. U.S. Airstrikes in Kobane / Ain Al Arab, Syria. Elements of this strange alliance has begun in neighboring Lebanon where the New York Times reported that there has been a de-facto agreement between the US and Hezbollah to combat ISIS with the US sharing information that helped stop suicide bombers seeking to target Hezbollah controlled areas in Lebanon. Although Assad currently possesses neither the forces nor the resources to capture the entirety of the territories under IS control, his forces and partners on the ground will emerge as a strong alternative in the short-term. Ziad Al Achkar is the Social Media Manager for the Journal of Diplomacy. Achkar is pursuing his MA in Diplomacy & International Relations where he focuses on International Security and International Law.